There will be four types of Platinum packages available for the 2019 Congress, Platinum + VIP Networking Reception Sponsor, Platinum + Program Track, Platinum + Off-Site Program Host, and Platinum + Regional City Program packages. See all Platinum Sponsor benefits in the table at the bottom of this page. 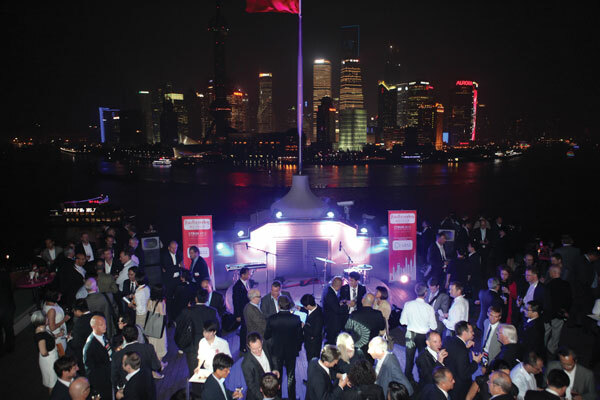 Delegates network during the CTBUH 2012 World Congress in Shanghai. Each Platinum + Program Track sponsor will collaborate with the CTBUH to host a major track of the Congress. 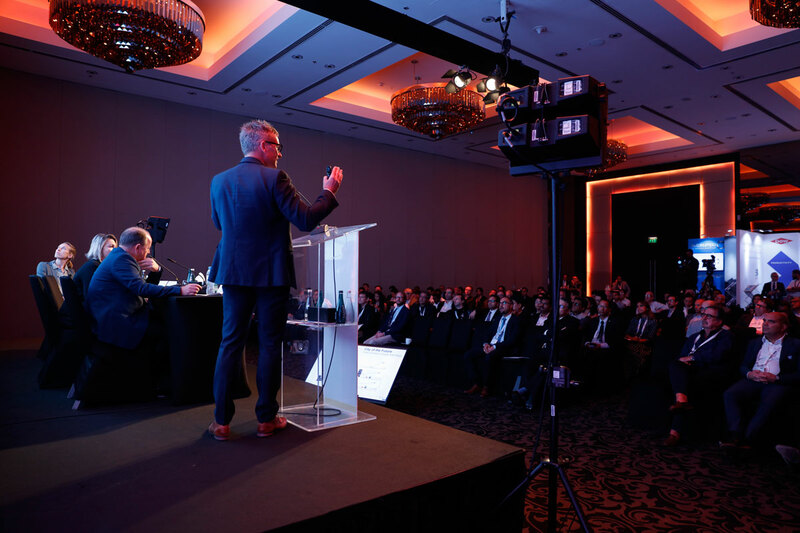 Taking place in one of the Congress venues (thus accommodating 200+ attendees) and running parallel with Regional Room sessions, each Program Track will feature presentations and panel discussions that comprehensively explore the track theme. The sponsor will collaborate with the CTBUH on the program and nominates three program roles. 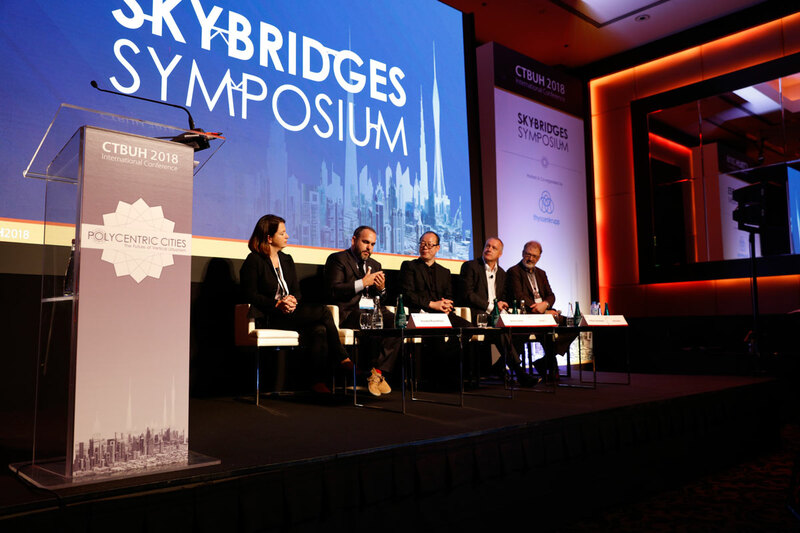 During the CTBUH 2018 Middle East Conference, delegates listen to tracks on current and future trends in tall buildings. Platinum + Off-Site Program sponsors will be acknowledged in relation to themed program and building tours held around Chicago on Thursday 31 October, where delegates will explore a sponsor project and engage with on-site presentations. 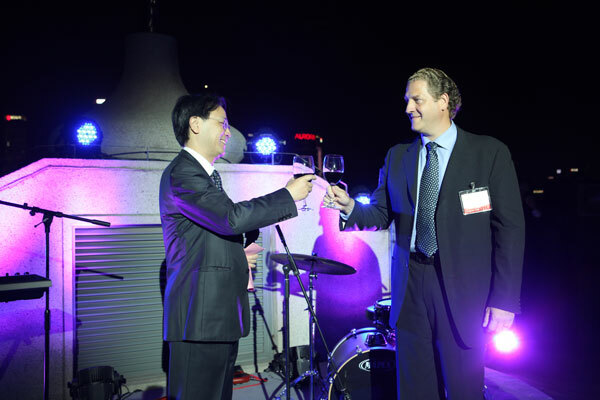 The sponsor will collaborate with the CTBUH in determining the location and theme of the Off-Site Program. Platinum + Regional City Program sponsors will be acknowledged in relation to 1.5-day, dedicated regional city programs that explore cities across the United States and Canada. 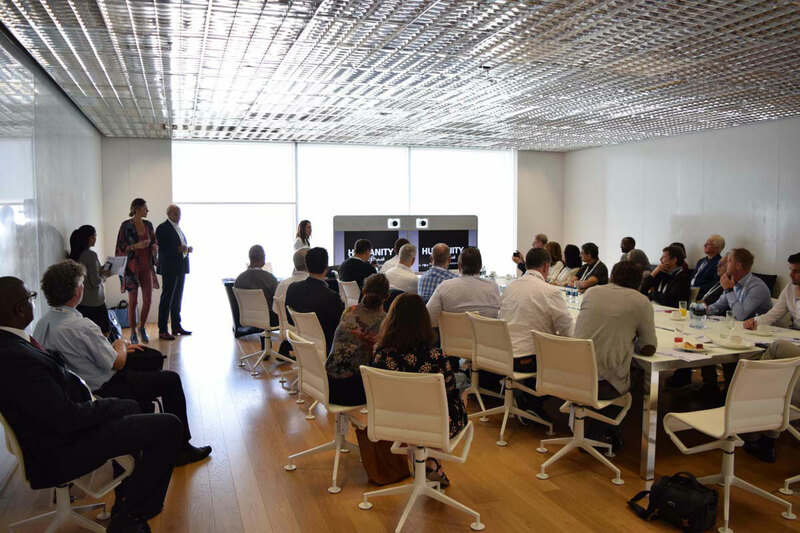 The programs will take place on Friday, 1 November and Saturday, 2 November, where delegates will travel to a regional city and engage with three segments that include presentations, tours, site visits and technical demonstrations. The sponsor will collaborate with CTBUH in determining the location and themes of the Regional City Programs. 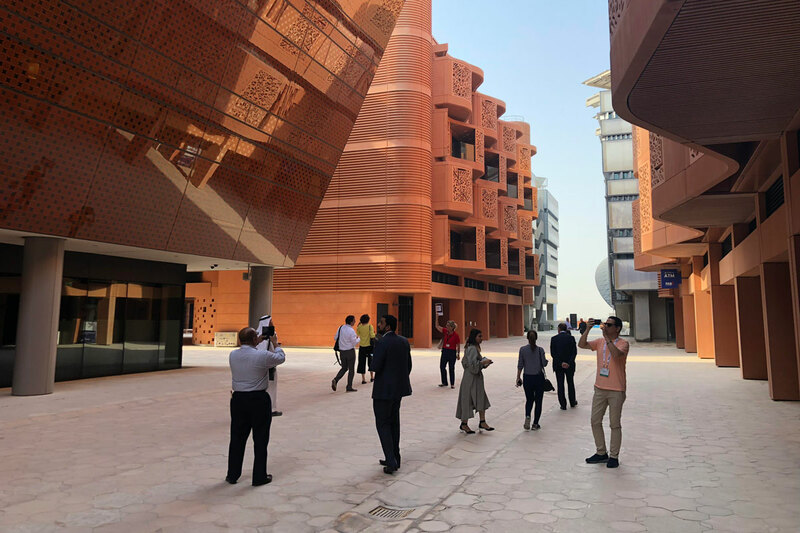 Delegates travel to Abu Dhabi for additional tours and presentations at the CTBUH 2018 Middle East Conference. *Note: The Networking Reception is typically “hosted” by the owner of the building (who are acknowledged as Congress Diamond + VIP Networking Reception Host), and “sponsored” by the Platinum + VIP Networking Reception Sponsor. It is typical that the Platinum + VIP Networking Reception Sponsors are connected to the building accommodating the networking reception, through a consultant or supplier involvement in the project initially. ***Note: Hosting a conference off-site program involves provision of the space for the program, catering for coffee breaks, and any ancillary building costs for maintenance, security, etc.